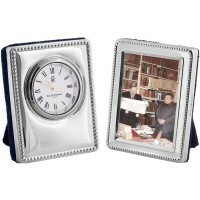 The ideal item to display on your mantelpiece – this striking sterling silver Victorian pattern clock and picture frame is both a classic timepiece and a frame to hold your most treasured family photograph. 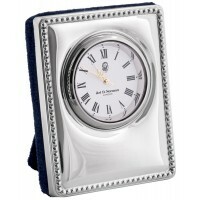 Beautifully hand finished with decorative detail, this hallmarked sterling silver clock and frame comes complete with a mahogany wooden back. 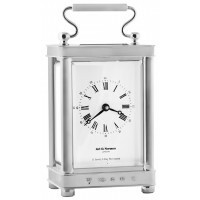 The clock face is white with black roman numerals and the movement is German made.